Although most of the peripheral vasculature may reflexively be vasoconstricted, in the early phases of shock the cerebral and coronary circulations are exceptions. These two vital organs retain their normal autoregulation. As blood pressure eventually falls, however, they too will be affected. Confusion and impaired reasoning are often the first signs of inadequate perfusion of the brain. Subendocardial ischemia may be apparent with depressed ST segments in the electrocardiogram as perfusion to the heart is compromised. Myocardial ischemia will occur if blood pressure falls below 50 mm Hg and at even higher pressures if coronary artery disease is present. If the hypotension is severe, myocardial ischemia can depress the heart, which will further lower the blood pressure. Once this positive feedback situation begins, the circulation can collapse suddenly. Injury to other organs can be more insidious. 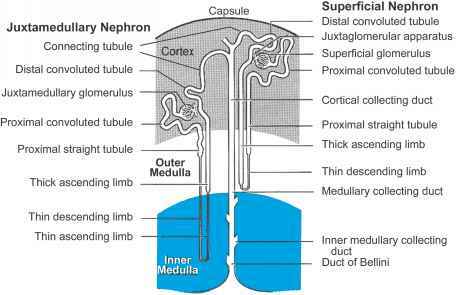 Reduced blood flow to the renal cortex for more than a day can result in death of cortical tissue and renal failure. Furthermore, an increase in pulmonary capillary permeability often results in adult respiratory syndrome (ARDS), characterized by poor oxygenation of the blood and reduced pulmonary compliance. ARDS currently accounts for most of the late deaths in otherwise successfully resuscitated patients.